A U.S. appeals court in California ruled that President Donald Trump's administration must continue a program started under former President Barack Obama that protects hundreds of thousands of immigrants who were brought into the country illegally as children. A U.S. appeals court in California ruled on Thursday that President Donald Trump's administration must continue a program begun under former President Barack Obama that protects hundreds of thousands of immigrants who were brought into the country illegally as children. The decision by the San Francisco-based 9th U.S. 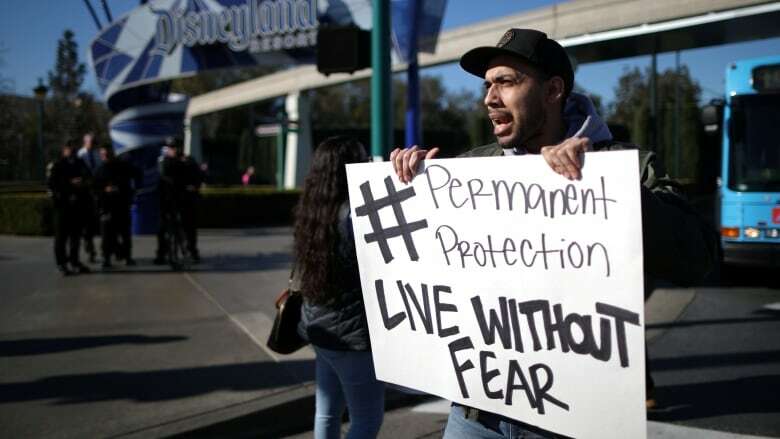 Circuit Court of Appeals preserves the Deferred Action for Childhood Arrivals (DACA) program introduced in 2012 that has shielded from deportation a group of immigrants dubbed "Dreamers" and given them work permits, though not a path to citizenship. On Monday, his administration asked the U.S. Supreme Court to review a federal judge's January decision to block Trump from ending the program even before the 9th Circuit had weighed in, an unusually aggressive move in terms of procedure. San Francisco-based U.S. District Judge William Alsup decided in January the government must continue processing renewals of existing DACA applications while litigation over the legality of Trump's action is resolved. The administration in February unsuccessfully appealed Alsup's ruling to the Supreme Court.